Join Chris Cox and Katrina Repman as they spin, pop, and whip their way through 6-weeks of Acro Exploration. Deepen your practice. Refine your form. Enhance your skills. Improve your habits. Get better. Get smarter. Get stronger. 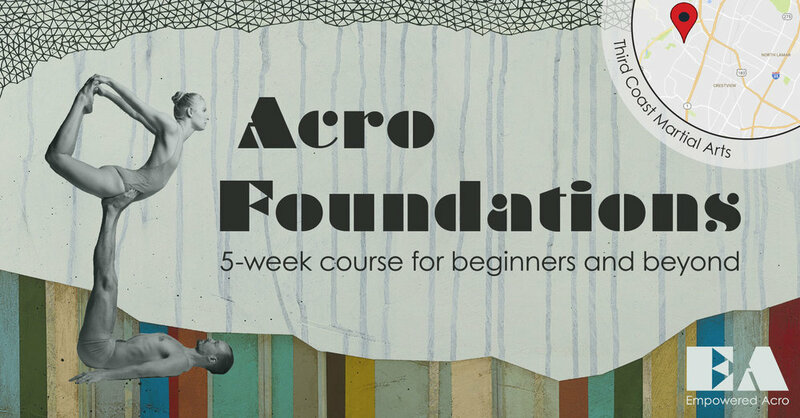 Acro Foundations is a five-week series designed to introduce complete beginners and refine technique for continuing students. Classes will cover proper alignment and technique for fundamental basing, flying, and spotting roles while exploring a variety of foundational poses and transitions. Whether you are brand new to acroyoga or ready to deepen your understanding of its principle mechanics - this course is for you! Acroyoga is a playful way to gain strength and flexibility while improving your communication and building trust in yourself and others. Austin, Texas is home to one of the largest acro communities in the world. Join us, and experience the excitement of this playful practice and see for yourself why it is sweeping the nation! 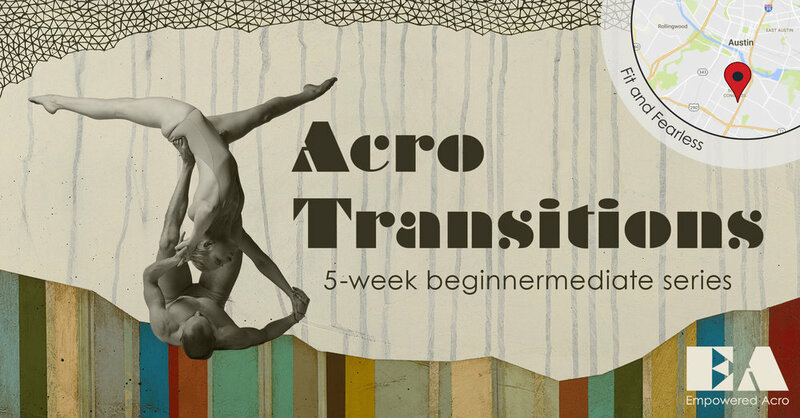 Acro Transitions is a five-week series designed to link static poses through dynamic transitions, expand vocabulary, and increase stamina. This series is meant be taken repeatedly, as each series will focus on different skills. This Sunday (January 8, 2017) Chris Cox and I will be leading a FREE intro-level acro class at Athleta at the Domain from 10:30-11:30am. Breakfast treats to follow, + 20% off Athleta gear.